• High capacity-ideal for large roof areas. • The pre-fitted gutter seal retaining clip system for fast user-friendly installation. • High flow rate means fewer outlets and fewer drainage runs. A nearly pure white deep flow guttering and downpipe drainage systems to add some wow to your property. Dee Flow Guttering 135 Degree Angle Brilliant White .. Deep Flow Guttering 90 Degree Internal External Angle Brilliant White .. 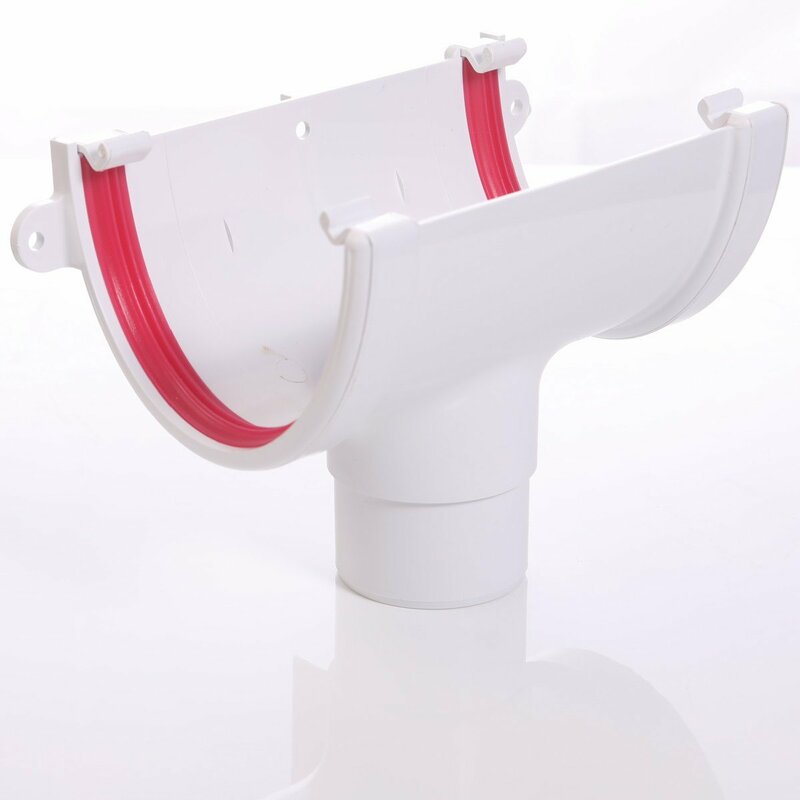 Deep Flow Guttering External Stop End Brilliant White .. Deep Flow Guttering Fascia Bracket Brilliant White .. Deep Flow Guttering Internal Stop End Brilliant White .. Deep Flow Guttering Running Out Let Brilliant White .. Round Pipe Socket - White ..
White 112° Branch Gutter Piping. ..
112° Offset Bend In White ..
2.75 Metre Round Downpipe - White ..
4 Metre Round Pipe in White. ..
5.5 Metre Round Pipe In White ..
White 90° Degree Offset Bend .. Round Pipe Clip (Flush) in White .. Round Pipe Clip (Stand-Off) in White ..
Mini Off Set Bend - White ..
Access Pipe - White ..